A pioneer venture capitalist, Bill Draper has worked with top entrepreneurs for more than 40 years in fabled Silicon Valley. 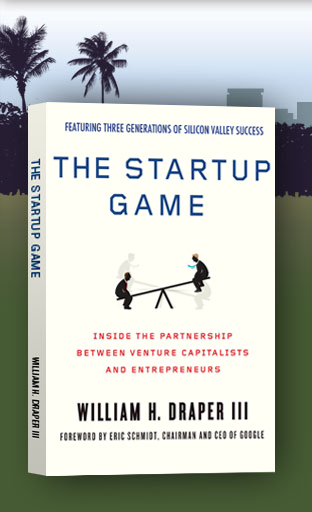 The Startup Game is the first up-close look at how the relationship between venture capitalists and entrepreneurs is critical to enhancing the success of any economy. Incorporating many of the author’s personal experiences, this book provides a much-needed look at how the world of venture capital and entrepreneurship works. Bill Draper provides firsthand stories of success. ©2011 William H. Draper III. All rights reserved.